Thom J Beuning has just about seen and done it all in his nearly 50 years in the Pacific Northwest. From high school to professional broadcasts, with Air Force and even mascot service in between, Beuning has made his mark on Puget Sound sports radio. Born in Tacoma in 1962, Beuning graduated from Wilson High School in 1980 before claiming his Radio Broadcasting certificate from Clover Park Technical College two years later and graduating from University of Washington-Tacoma in 1993. He began his radio career at KLYC in McMinnville, Ore., broadcasting high school basketball and working as an on-air personality. 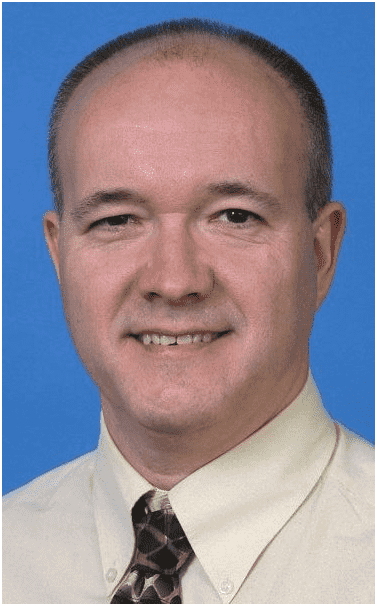 He served in the United States Air Force from 1985 to â€™88 as a broadcast journalist and was assigned to the American Forces Network-Europe headquarters in Frankfurt, Germany. There he served as sports anchor for the evening news broadcast. After returning to the states, Beuning spent two years as a sports reporter and weekend sports anchor for KGBT-TV in Harlingen, Texas, before making his way back to Tacoma and KLAY radio. 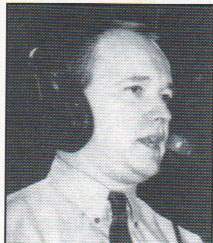 From 1989-95, he was the KLAY radio, news and sports director along with the high school football and basketball and Pacific Lutheran University football play-by-play announcer. Beuning took two years away from KLAY in the mid-1990s to work as a news reporter and high school sports play-by-play announcer at KWLM radio in Willmar, Minn. A return to KLAY in 1996 brought Beuning back to the familiar confines of PLU football and added the task of calling PLU basketball games. He announced the play-by-play for the Tacoma Sabercats from 1997-2000 and served as the Sabercatsâ€™ media relations director from 1998-2000, earning WCHL Broadcaster of the Year honors following the 1999-2000 season. 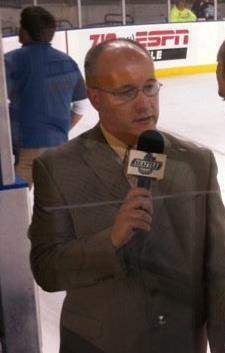 Since 2001, Beuning has been the play-by-play voice of the WHL Seattle Thunderbirds. From 2004-08 he also voiced the broadcasts of Seattle Sounders soccer games and has filled in occasionally on broadcasts since the MLS Sounders franchise began play in 2009. With all Beuningâ€™s experience in broadcast, though, perhaps his four-year stint as the Tacoma Tigersâ€™ baseball team mascot Homer the Tiger carries the most fascinating story. One day Tigers manager Ed Nottle was ejected from the game and demanded Beuning relinquish the mascot suit for devious purposes. Donning the uniform, Nottle returned to the field for about an inning before the other team noticed Homerâ€™s change of shoes, prompting the disguised manager to hop into the stands and make his getaway. As Beuning recalls, that incident prompted the Pacific Coast League to ban mascots from the field during play. And so, with all Beuningâ€™s impact on Puget Sound sports radio, perhaps his greatest legacy will always be the limiting of mascots to between-inning field access. San Diego Gulls at Tacoma Sabercats (2001) San Diego Gulls at Tacoma Sabercats on 3/31/01 Tacoma wins 2-1. Scott Drevitch goal at 5:50-6:40.